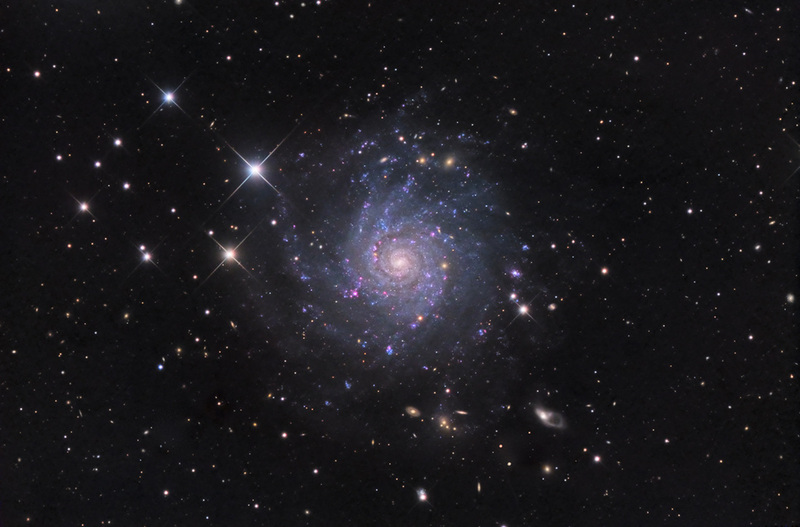 is a seldom seen Sc-type spiral galaxy. At a distance of 39,000,000 light-years, it is quite faint and considered 'unremarkable.' Sadly, precious little is written about it but I hope this image will spark some interest in IC 5332. There are numerous, fascinating galaxies surrounding the target, the most interesting of which, PGC 132690 appears at 4 o'clock. The data was acquired in 2014 by SSRO.